The Village of Jerome, joining with Spaulding, Rochester, Riverton and Williamsville are collecting items needed for the hurricane victims in Texas. The Village of Jerome, will accept donations starting Wednesday, August 30,2017 through Tuesday, September 11th, 2017 Monday through Friday from 10:00am until 4:00pm, except for September 11th where donations must be in by 11am at the Village Hall located at 2901 Leonard St in Jerome. Additionally. 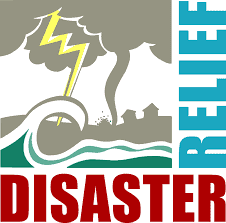 Neuhoff Media will host a 12-hour Relief Radiothon on Wednesday, September 6” at Green Toyota (3901 Wabash Ave) to encourage their listeners to drop by one or more of the items needed. The two-week campaign is being launched Friday night with a water drop off at Glenwood High School (GHS) during the Glenwood/Rochester Football game. Both schools have initiated a school wide campaign to possible attendees to bring a case of water to the high school where it will be unloaded and prepped by members of the Lincoln Land and GHS soccer teams. After all items have been collected, the COL training team of Midwest Technical Institute (MTI) has agreed to transport all goods to the Galveston area for distribution. MTI has also begun collection efforts on all their campuses as well. The tractor trailer(s) will be escorted by some members of the local law enforcement communities. The convoy will depart Springfield on Tuesday, September 12. 2017. For more information please contact: Chief Jim Hillyer – Spaulding, PD @ 217-629-8188 or Mylas Copeland (Green Toyota) @ 217-303-8266. (*) items Needed – Bottled Water, Flashlights, Batteries, Diapers (all sizes), iPhone chargers, Shovels, Work Gloves, Trash bags, Dust masks, dog food, cat food, cat litter, pillows, blankets, sleeping bags, cleaning supplies, chairs (folding/lawn chairs), paper plates, plastic ware (cups, silverware, etc. ), napkins/paper towels, nonperishable food items, toiletries (toilet paper, soaps, body wash, toothbrushes, etc. ), towels.